I have been natural going on 3 years this August. Although the transition was quite a process but one that was so worth it as I am so excited for the transition. My new dilema is I am greying mostly in the front of my hair around the edges and find it very annoying that in less than 2 weeks my greys are showing again. I try to hold out as long as I can before coloring (permanent color) again by using touch up mascara and lipstick application touch up. Can you recommend a brand or other alternative? Is Henna better than store brands. It worked well, and didn't dry my hair out. I can't attest to the staying power yet because it's only been about a week. I would say Henna is better than store brands in that it is all natural. However, the only color you can get from true henna is red. Do not use any Henna that claims to offer a different color, because that means unnatural ingredients have been added to it, and it may not be safe. This is probably not the answer you want to hear, but I think you should embrace your grays! You don't have to necessarily big chop, you could just grow out your already existing color. 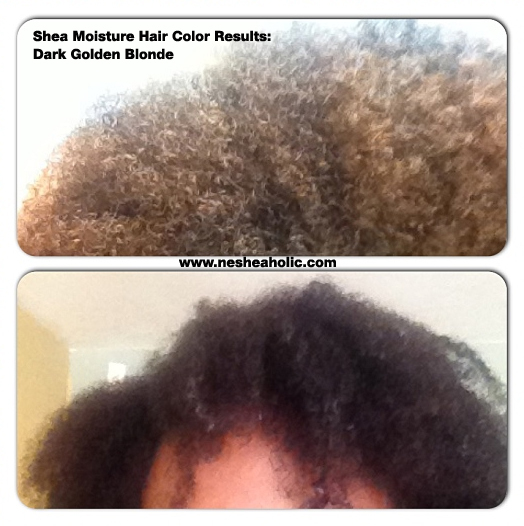 You can transition out the same way you did with going natural. Don't feel pressured to big chop! i like the color alot. as for me, i decided to embrace the gray's. hell, i'm 44 years old now. no sense in trying to fight the inevitable. plus i have a perm and i can't imagine perming and coloring. I have a gang of grays all around my hair line edges, and inside it as well. LOL I actually look forward to having them all turn silver. Your color looks nice! Was that the result of one application? Thanks! Yea, that's from just one application. No problem! It currently looks more brown, except in the sun where it's definitely blonder. I've had no problem with dryness or change in hair texture thank goodness.